The dial and chapter ring still need realignment and a sapphire crystal still needed . Overall still a fantastic watch. One of the only watches left in my collection. 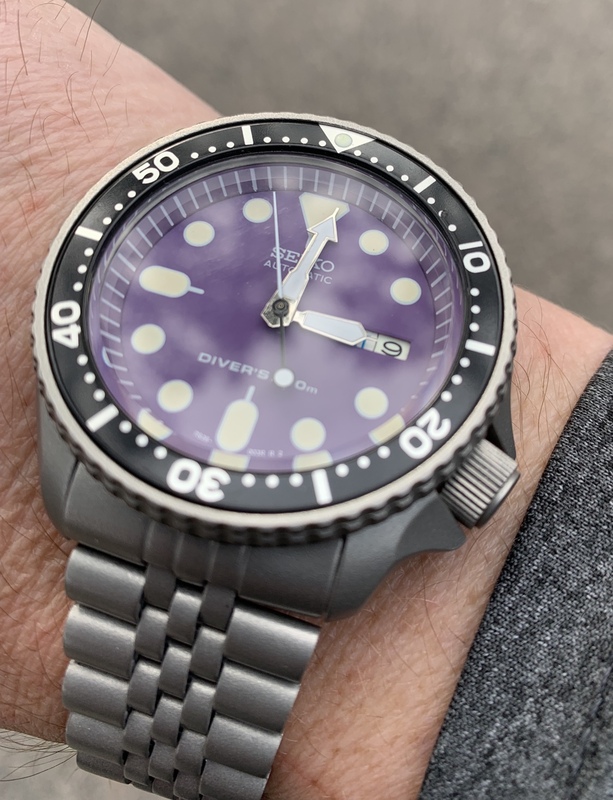 Funny thing is when I first joined RWI, after doing so much reading I decided that I did not like a SKX because it wasn't hacking or able to hand wind, it didn't have a sapphire crystal and it had a "wokky" rehaut. After finally having one on the wrist, I finally get the fascination and cult following of it. It's one of my favorite watches ever and it will have a permanent spot in my watch box. Here is my skx009j with a naturally aged skx007 bezel. After running the NYC Marathon in aid of Dylan's wings of change, an autism charity, this year I will be competing in the the Umstead Ultra marathon running 50 miles in aid of them. New link to follow but you can read below about their work. My Seiko collection so far. Couple of baby tunas on land. 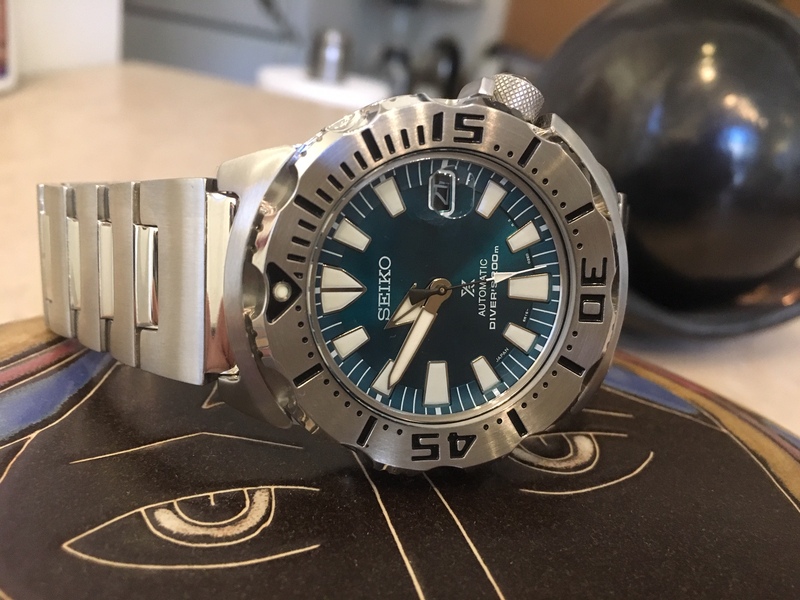 Anybody pick up the blue dial alpinist?